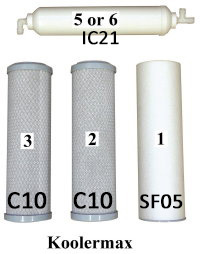 * 3150, 4th stage TFC-150 US membrane filter (to be replaced every 2 to 3 years. * This is a TFC type membrane with capacity of producing 150 gallon per day. 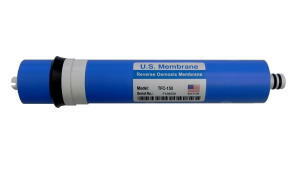 * TFC-150 High rejection TFC membrane we use genuine US MEMBRANE membrane filter, 150 gal/day, it removes 95% to 98% of all chemical, dissolved solids in tap water. Made in USA. Production rate: 150 gallons per day max. Actual production rate varies depending on input pressure and temperature.